Congratulations! You just found out you're expecting. We bet you're excited and overwhelmed. The first trimester is the first three months of your pregnancy. Your body will be going through a lot of uncomfortable, sometimes very weird changes. Common symptoms include bouts of nausea, swollen breasts, increased urination, fatigue, food aversions or cravings, dizziness, heartburn, and constipation. Yuck, we know. But totally worth it! 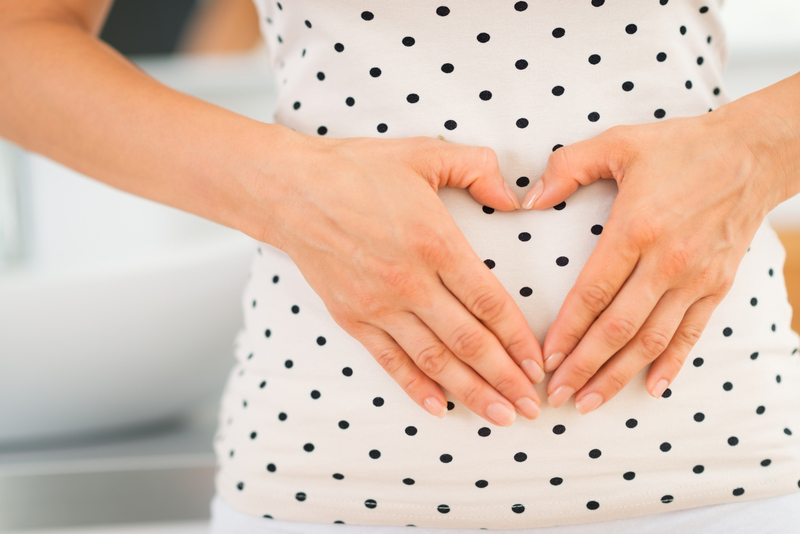 What is your baby doing during the first trimester? Fingers, toes, arms, hands, and eyes are all forming during the first three months of pregnancy. By the end of your third month your baby is 3-4 inches. Below are some things you should remember to do. Say goodbye to wine with dinner or your favorite meal of oysters. Research what activities and foods you should avoid, the right supplements you should take, etc. Foods you should eat during pregnancy include sweet potatoes, broccoli, dark leafy greens, avocados, nuts, edamame, and lean meat. It is more important than ever to stay hydrated. First things first. Create a budget. Not in your head, not on a whim but physically written down and typed out. Decide how much money you can spend and stick to the plan. The internet is full of helpful budget sheets and templates. Once you finish your budget, keep a copy on your phone and computer. Print it out and hang on the refrigerator. Keep it in your purse to refer to. This may seem a little extreme but it will help you stay on track. What is a babymoon? A babymoon is a chance for you and your partner to go on a romantic getaway before you transition into full blown family life. It's a time to connect to each other and maybe even openly discuss your concerns and fears about bringing new life into the world. The goal is to leave the trip feeling closer and confident about what lies ahead. Check Restrictions - If you are flying or going on a cruise, there are often restrictions about if you are allowed to board, depending on how far along you are in your pregnancy. Make sure you look at these ahead of time! Distance -You don't want to put too much strain on your body by sitting down for a long period of time so pick a destination that's not too far away. Availability of Medical Care - Let your OB know what you're doing and see if they have any travel advice or words of caution. Note nearby doctors and hospitals at your destination in case of any kind of emergency. See How To Have An Awesome Babymoon for destination ideas. Pregnant women need more than the typical eight hours of sleep and frequent bathroom breaks and nausea are common hurdles. Make sure you're doing some sort of physical activity at least 30 minutes a day and you will see your rest dramatically improve. Try doing it in the morning or early afternoon. Resist the urge to take too many naps during the day (especially closer to bedtime) as it will make it that much harder to fall asleep that night. Try reading a book rather than scrolling through your phone (in fact, go ahead and remove all electronics out of your bedroom). Drink a warm cup of tea (but just one cup). Keep the lighting level and thermostat low. Take a relaxing bubble bath. Ask your partner for a foot massage. If you make a conscious effort to follow your nightly routine, your body will fall into a natural rhythm at bedtime. Once the lights are off, try breathing techniques to lead you into peaceful slumber. The right pillow can make a huge difference so make sure you have a firm one that's providing proper support. Sleeping on your side will help alleviate back and pelvic pain. Sleeping on your left side is ideal as it increases the amount of blood and nutrients that reach your baby. Keep your legs and knees bent, and put a pillow between your legs.